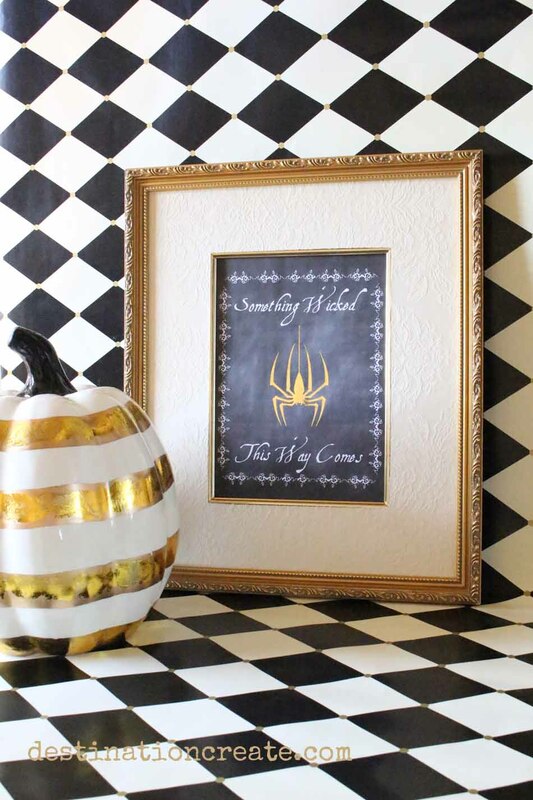 You want the FREE Halloween Printable right? Remember- you need a laser printer to add the gold foil spider. If you want to create the chalkboard background version you'll need a laser printer AND an ink jet printer.